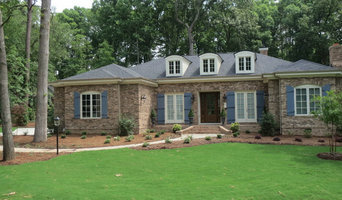 Hallyburton Builders specializes in meeting all of your custom home needs. Servicing the Durham, North Carolina area. Give us a call to book your next dream home! At Grayson Dare, we specialize in providing a truly custom homebuilding experience, at virtually any price. As a design build firm, any option is possible. We are a boutique, customer centric and extremely organized construction company serving Chapel Hill, Durham, and Pittsboro areas. We are singularly focused on being the best builder in the Triangle. We are a full service design and build firm with 28 years experience. We are committed to quality offering turn key presentation from design to move in. 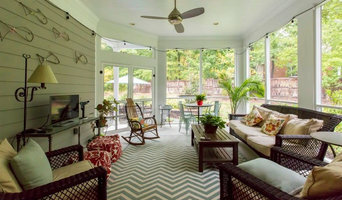 Collins Design-Build is an award winning custom builder and remodeler in the Triangle area with a strong understanding of Green Building with sustainable and energy efficient practices. Recently recognized for "Highest Customer Satisfaction" by the Home Builders Association, Chad is is an Accredited Master Builder, Master Certified Green Professional and a Certified Aging In Place Specialist. Robuck Homes is a fourth generation, family owned and operated company established in 1926. For nearly a century, we have built over 5,000 homes in the Raleigh-Durham and surrounding areas, building in prestigious neighborhoods such as: 12 Oaks, Abbington, Brighton Forest, Heritage at Wake Forest, and Jamison Park. We are a self-funded company, with a diverse portfolio of residential, commercial and non-profit, which speaks to our financial strength and stability. Robuck is locally owned, so we take care of you on a more personal basis, and in this way, the Robuck Homes legacy will be preserved for future generations. At Revolution Homes, we are committed to utilizing a superior home building process to deliver superior custom homes. At Revolution Homes, we believe that the experience of building a home should be an enjoyable one. That’s why our Raleigh-Durham, NC custom builders will work with you from the beginning of your residential construction project to the very end, ensuring your comfort and satisfaction throughout the entire course of the design-build. With our one-of-a-kind, proactive approach to custom home building, Revolution Homes is quickly becoming the new home builder of choice for clients in Raleigh, Durham, Cary, Apex, Morrisville, NC and surrounding areas in the Triangle. Design built custom homes from the 500's to over 1 million. What’s the most important step in building a new house from the ground up? Many people would say it’s choosing the right Durham home builder. Constructing a new house is a huge and multifaceted undertaking, so it’s important to find custom home builders in Durham, NC you can trust to bring your vision to life, as well as keep the process under control from start to finish. Although a construction job is never without surprises and challenges, a Durham, NC home builder who’s a good fit for your specific project will make these far easier to handle. For Durham residential home builders who also act as developers, the job starts well before the first nail is driven. They perform local market research to determine whether the prospective homesites make sense in the Durham, NC market, as well as survey the land on which the house will be built to make sure it is suitable for construction. Custom builders also obtain the necessary permits. 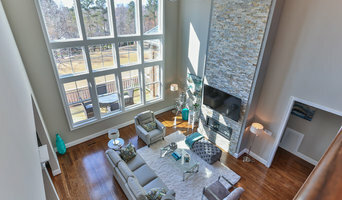 A good custom home builder in Durham, NC has skills that go far beyond construction — he or she must supervise subcontractors and artisans; keep tabs on local zoning regulations, building codes and other legalities; inspect work for problems along the way; and perform dozens of other roles that are essential in building a quality house. Here are some related professionals and vendors to complement the work of home builders: Interior Designers & Decorators, Landscape Architects & Landscape Designers, Architects & Building Designers, Kitchen & Bath Designers, Specialty Contractors. House builders are responsible for ensuring that the home-building project sticks as closely as possible to the specified timetable, particularly in the event of change orders. 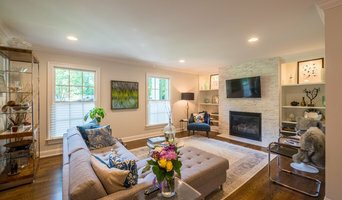 Custom and luxury home builders in Durham, NC also need interpersonal skills to deal with clients of all types, soothe frazzled nerves, negotiate conflicts and resolve problems. Find custom home builders in Durham, NC on Houzz. Narrow your search in the Professionals section of the website to Durham, NC home builders. You can also look through Durham, NC photos to find a house you like, then contact the builder who worked on it.